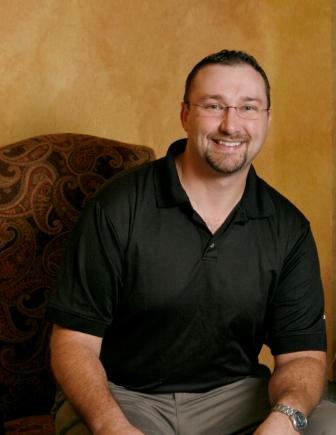 Nick offers a wide range of massage therapy services including: Swedish, Deep Tissue, Pregnancy, Hot Stone Massage, Chair Massage and Specializes in Medical, Orthopedic and Advance Sports Massage. Co-Owner of Massage Works, LLC est. 2003, Nick has worked as a licensed massage therapist since 2002. 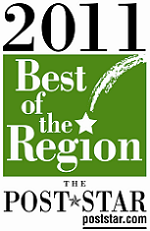 Voted as one of the Best in the region by the Post Star in 2011. He is a member of the South Glens Falls Chamber of Commerce and is a professional member of the American Massage Therapy Association (AMTA) where he serves as President for AMT-NY board of directors. Nick has been an active member of BNI, the world’s largest word of mouth networking group, since 2003. His sports massage experience includes a position as the official massage therapist for professional sports teams such as the Adirondack Ice Hawks, Adirondack Frost Bite UHL hockey teams, the Adirondack Flames (AHL), Adirondack Thunder (ECHL) and the Adirondack Wild Cats basketball team. A supporter of his community, Nick is a Village of South Glens Falls Trustee and has volunteered his services for many local charities and their events, such as JDRF, South High Marathon Dance, Prospect School and the Feeder Canal alliance just to name a few. Nick Bodkin attended the Center for Natural Wellness School of Massage Therapy in 2001, and passed the NYS Board exam for massage therapy in 2002. Nick is also a Usui Reiki Master/Teacher, a Registered Karuna Reiki® Master and is certified as a Personal Trainer by the American Sports & Fitness Association. Note: All massage therapist in NYS are required to be licensed by NYS. Nick’s license number is 015287-1 to verify the status of any NYS licensed massage therapist visit www.nysed.gov select “office of the professions” and “online license verification” under the profession massage therapy.